If your workers handle hazardous waste, you need to know about HAZWOPER (Hazardous Waste Operations and Emergency Reponse), what it is and why you need it. The term was originally coined as HAZWOP (Hazardous Waste Operations), the United States Department of Defense’s hazardous waste clean-up program used on military bases where hazardous wastes had stockpiled following WWII. As the program has evolved and grown, HAZWOPER has come to be used to describe OSHA required training in Hazardous Waste regulations. This HAZWOPER standard is found in OSHA regulations on operations specified in section 1910.120 (a) (1) (i-v) and 1926.65 (a) (1) (i-v). It denotes five distinct groups of employers and their employees, including any employees who are exposed or potentially exposed to hazardous substances — including hazardous waste. These standards set out training requirements for site security, site controls, employee safety, and site logs. The standard’s purpose is to protect the public, the environment, the site, and workers from vandalism and unsafe practices that threaten the public and environment, as well as worker safety. 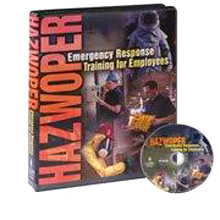 There are multiple training levels within the HAZWOPER regulation, based on what function workers are performing and level of hazard involved. Each level has specific topics and minimum training times that must be met. 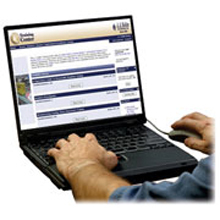 Using OSHA HAZWOPER training requirements, you can set up your own training program using commercially prepared materials, or choose to hire a safety education manager who is skilled and certified in doing HAZWOPER training, or any qualified combination in-between.